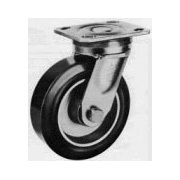 All casters and wheels in the Bassick catalog are available at Service Caster Corporation. 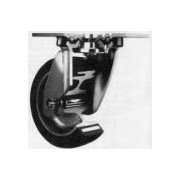 Units are provided for a vast number of applications. View Shepherd Bassick caster selections. 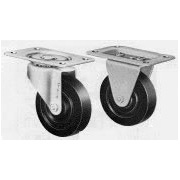 Within the industrial environment, dolly and platform truck casters handle material handling needs. 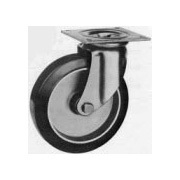 Plant engineering is handled with casters for die and fixture trucks, assembly line dollies, and machinery moving dollies. 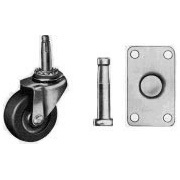 Casters and wheels for maintenance and shipping include selections for tool chests, scaffolding, stock picker carts and platform trucks. Bakeries have many options with casters for bread racks, kitchen equipment, and ingredient bins. 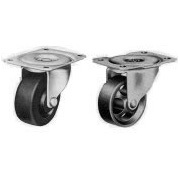 Food service and processing plants have caster and wheel solutions for mixers, vats, and packaging equipment from the Bassick caster catalog.